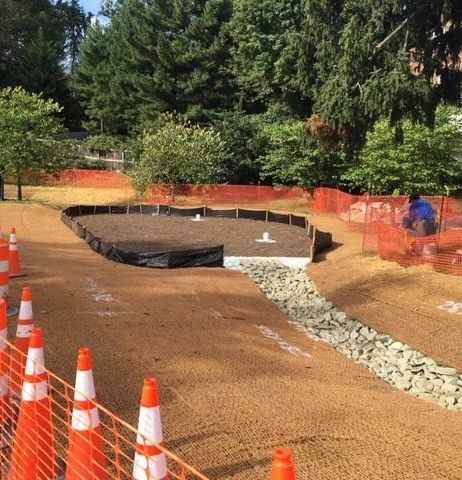 Take an expert tour of eight recent stormwater control projects along Sligo Creek on Saturday March 30, from 10 am to noon, led by Matt Harper and Andy Frank of Montgomery Parks. 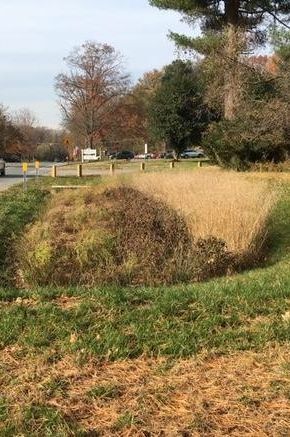 The walking tour will visit eight locations between Colesville Road and Forest Glen Road where the Montgomery Parks has installed bioswales, wetlands, bioretentions, and conservation plantings to improve habitat and control stormwater flow into the creek. Meet at 10 am at the intersection of St. Andrew's Way and Sligo Creek Parkway. You can park on St. Andrew's Way or at the golf course (near the end of the tour), depending on your walking preferences. First on the itinerary (see map at bottom) is a new bioretention facility on the corner of St. Andrew's Way and the Parkway. Next up (no. 2) is the stream stabilization project in the Sligo creek bed (carried out by WSSC as part of a consent decree). 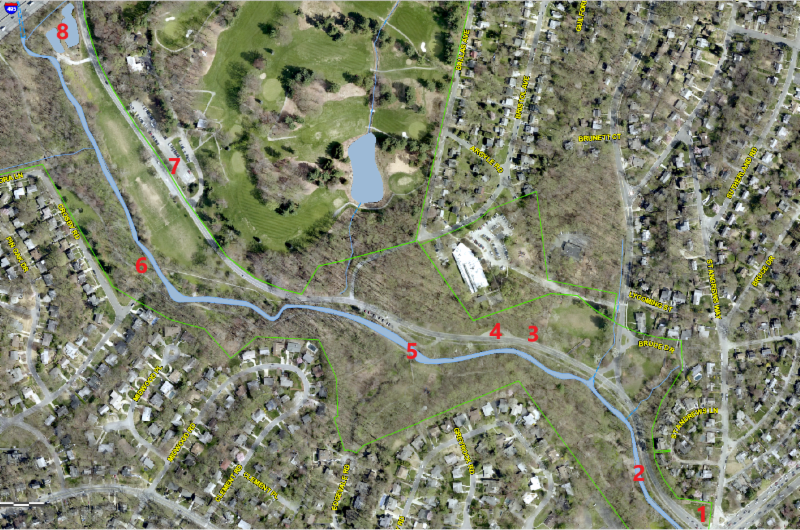 Then the group will visit two tributary riparian restorations (at 3 and 4), the site of a future restoration of Edgevale tributary (5), the riparian restoration at Crosby Road (6), bioretentions at the golf course (7), and a constructed wetland to control stormwater from the Beltway (8). If time allows, the group might also visit the outfall restoration between Forest Glen Road and 495 or the fish passage restoration in the Flora Lane tributary. The tour will proceed in rain (the best scenario, as you'll see the stormwater areas in action! ), but not if there is heavy snow or lightning. For more information, contact stormwater@fosc.org. 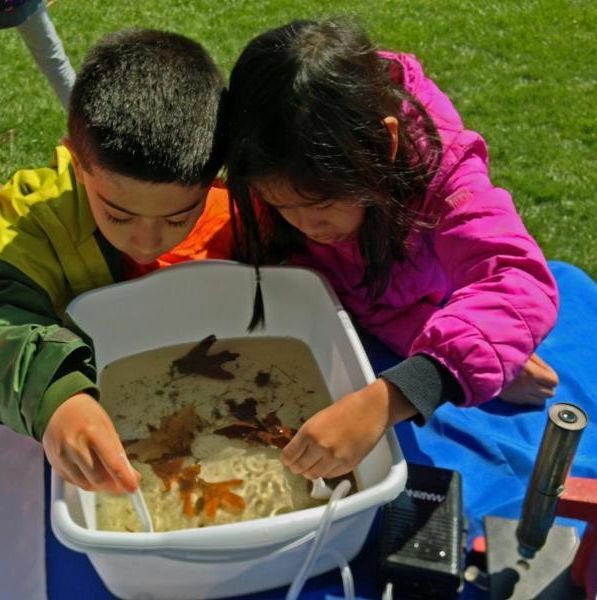 Kids search for critters in stream water at an Audubon Naturalist Society family program. Spend a family day learning about nature and health in Long Branch, Sligo's longest tributary, on Sunday, April 7, from 1pm to 3:30pm. The event will start at the entrance to Rolling Terrace Elementary School. Leaders will then walk with participants down to the stream. The event, called "What Lives in Long Branch? 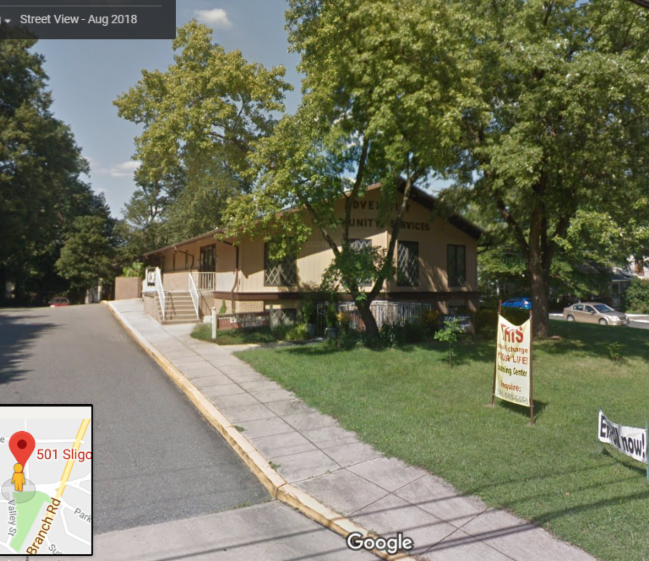 / �Qu� Vive en el Arroyo de Long Branch?" is part of an innovative new program developed by the Audubon Naturalist Society for people living in the Long Branch community. 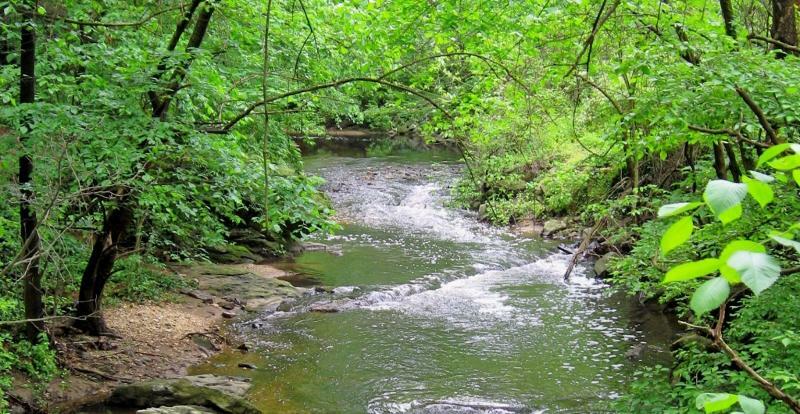 * Search for creek critters and learn what they tell us about the health of Long Branch. * Take a guided bilingual (Spanish-English) nature walk along the stream. * Create colorful posters on creek-centered topics. All those interested will step into the creek as part of the activities, so bring boots (if you have them). This program is organized by the Audubon Naturalist Society in cooperation with YMCA/YFS "Linkages to Learning" program at Rolling Terrace Elementary and Friends of Sligo Creek. For more information, please contact gregg.trilling@ANShome.org. Mark your calendars for the next Sweep the Creek on Saturday and Sunday, April 13 and 14. As usual, the Sweep will take place in the morning (9am-11am) on Saturday and in the afternoon (1pm-3pm) on Sunday. Watch our website (http://www.fosc.org/) for updates as to which sections will be cleaned on Saturday and which on Sunday. There will be groups all along Sligo (from Kemp Mill to East-West Highway) and along Wheaton Branch and Long Branch and possibly in Takoma Woods. 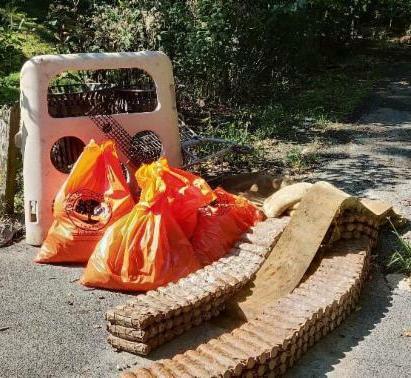 Montgomery Parks provides gloves, trash bags, and bottled water, while Friends of Sligo Creek will have the necessary forms for students' service learning hours. Our Sweep events regularly attract about 400 volunteers from schools, colleges, youth groups, businesses, and houses of worship, as well as families and individuals who enjoy being outdoors and helping beautify the park. For questions, contact our Sweep coordinator, Patton Stephens, at litter@fosc.org. 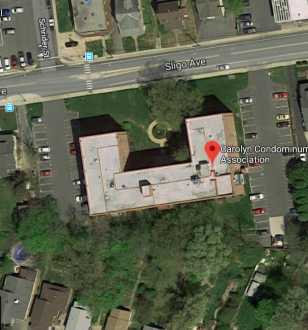 Friends of Sligo Creek has received a $20,000 grant to develop a stormwater management plan for the Carolyn Condominium Complex on Sligo Avenue. The project will also result in a special installation to demonstrate stormwater management, with interpretive signage to give residents an introduction to its design and benefits. The grant is one of eight that environmental organizations in the county received from the Montgomery County Department of Environmental Protection (DEP) and the Chesapeake Bay Trust (CBT) to protect local water ways by improving the management of stormwater runoff. "The board of directors of the condo and neighbors downhill are very excited to see what can be done," says FOSC board member Kit Gage, who will oversee the project. "The condo's roof and two large parking lots -- along with a relatively small amount of grassy area -- make for lots of stormwater runoff and a challenging situation. If this project is successful, the condo board hopes to get a follow-up grant for a second and larger project to capture more of the stormwater." Another grant from CBT and DEP will support a stormwater project at Adventist Community Services just down the road on Sligo Avenue and also in the Sligo watershed. Anacostia Riverkeeper will remove impervious surfaces and construct a rain garden with native tree plantings. "We are thrilled to support and engage these hard-working local groups who share this mission . . . of improving water quality while contributing to the health and sustainability of our communities," said DEP Director Adam Ortiz in a press release. "These projects, undertaken by neighborhood groups, volunteers and others, are so important for both water quality and education," said CBT Executive Director Jana Davis. "The work shows residents how a single project can both beautify their community and solve environmental issues, a win-win." For more information, email advocacy@fosc.org.